Our cleaning company offers professional oven cleaning services for every woman that hates cleaning after cooking a delicious meal. Most people who haven’t purchased an oven think that it’s nothing but a big problem in terms of cleaning. Those who already own one are often bothered with the same issue as well. Undeniably, ovens are tough to clean but they’re also the solution to great food. You have to option to either stress yourself out on scrubbing your oven and risking it in case you’re not sure of what you’re doing, or you can contact professionals to help out. Due to the increasing demand for professional oven cleaners, cleaning companies continue to multiply each year; but that’s not an assurance that you’ll bump into the right one. You still need to do your homework – thorough research. But since you’ve dropped by our website already, look no further, Top London Domestic Cleaners is here to serve you. Our company has been operating for many years now and oven cleaning is not new to us anymore. We have the best oven cleaners and the best cleaning equipment – the perfect pair needed for efficient oven cleaning services. We also cater different areas in London hence, there’s nothing much to worry about. Need more reason to hire us? Check the bulleted list below. 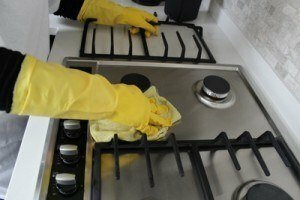 Top London Domestic Cleaners has been operating for many years already and you can ensure that we have enough experience with oven cleaning. We’re a licensed and an accredited company. All our workers – whether cleaners or office staffs – are fully insured. We don’t want our clients to think about sudden charges due to accidents or perhaps any hidden costs hence, the fact that our cleaners are ensured spares you from such thought. We work hand-in-hand with our clients. We listen to your needs, we work on your budget and we give you the services essential to your home. We’re not the company who focuses on gaining new clients; more than that, we want to maintain and grow loyal clients. Our cleaning solutions are safe for your oven and safe for the food you’ll cook in the future. We don’t use any solutions that we’re unsure of. All our cleaning tools and machines are equally efficient and effective. The cleaning company personally checks each of them to ensure the quality. Our service cleaning rates are affordable and reasonable. No hidden costs involved ad we welcome discounts and service packages. Indeed, we are a one of the best cleaning company out there. Apart from cleaning ovens, we also provide an array of services that will surely benefit you and your family. You can trust us when it comes to the safety of your home and appliances. Furthermore, we’re also open to thoughts, comments and feedbacks from customers – both positive and negative – for we aim to improve always. 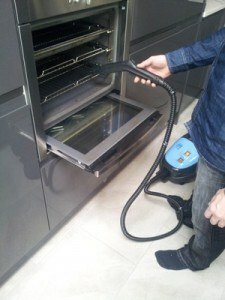 If you wish to know more about the company, feel free to contact us for oven cleaning on 020 3322 8143. Our customer service workers are there 24/7 to assist you with any questions you may have. You can also ask them for other services, rates as well as for assistance when booking. Book our expert oven cleaners to visit your home and help you out with your oven cleaning. Feel free to call Top London Domestic Cleaners today on 020 3322 8143 or book our experts online.